Teach computer science. The opportunity for American students to learn this increasingly important subject in school is woefully rare. If we want future generations to continue to have a high standard of living, we must prepare them for the jobs of tomorrow. While some of these jobs may not even have been invented yet, we are fairly certain that computational thinking learned through studying computer science will be a highly valued skill needed to succeed at them. Be a guide, not an answer key. Give students time to puzzle through new concepts and problems and the opportunity to discover answers for themselves. Step in when needed to help avoid frustration. More learning will happen, more knowledge will stick, and more confidence will build for the next challenge. Give children more unstructured time. This is such a challenging goal in today’s busy and competitive world, but it is well worth the effort. Our culture and history have long emphasized industriousness and productivity (for good reason), but we are now coming to understand that unstructured time is also a highly productive time for our brains. These are the moments when insight and unconstrained creativity lead to new ways of thinking and solving problems. Those are the seeds of progress. 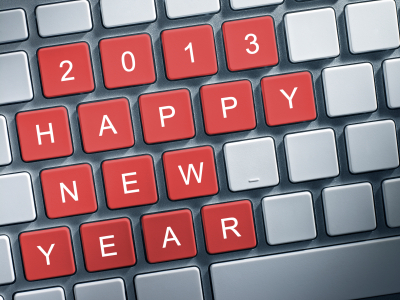 Thank you all for a terrific 2012, and best wishes for a wonderful 2013! Ring in the New Year with IMACS! Check out our online courses in gifted math and computer science. For talented middle school students, visit www.elementsofmathematics.com to register for our Operational Systems course that is FREE before January 1, 2013. Get weekly IMACS logic puzzles on Facebook.